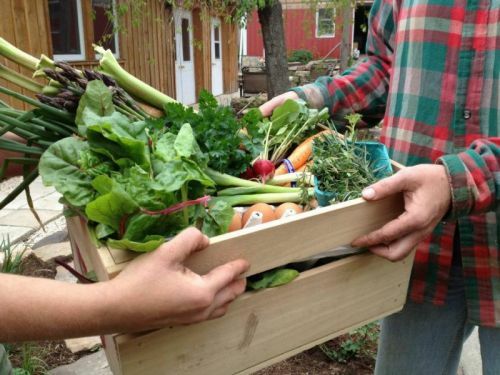 Village Acres Farm has a mission of connecting people to their food, the earth and each other. We are committed to growing food and building relationships that are sustaining, restorative, and transformative for our customers, our employees, and ourselves. Celebrating over 35 years of farming, 25 years of Organic certification and 20 years of serving the community through a CSA model, Village Acres operates as a diversified system, integrating vegetables, berries and pastured livestock. Village Acres offers on-farm pick-up of produce, eggs, and chicken for CSA members, as well as distribution to State College and Harrisburg. Located just off Route 322 near Mifflintown - about 50 minutes from State College and Harrisburg - the 45 acre farm is centered in the village of Cuba Mills, nestled along the banks of the Lost Creek close to its confluence with the Juniata River.